This Chilli Paneer is another typical Indo-Chinese dish, the preparation is what I called vegetarian food made Non-veg way. 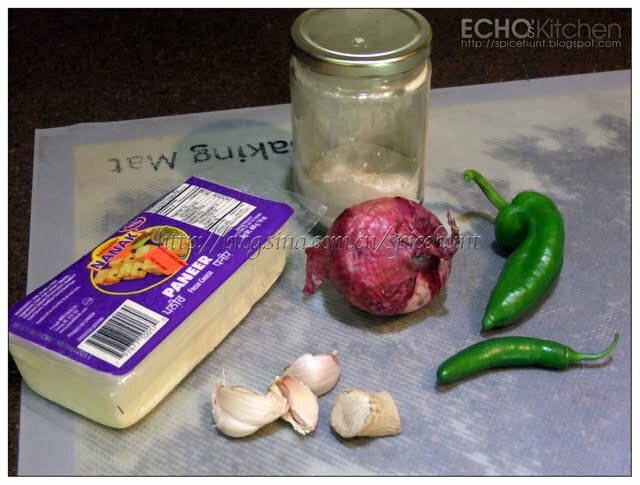 It works well as starter, and a good side dish too! 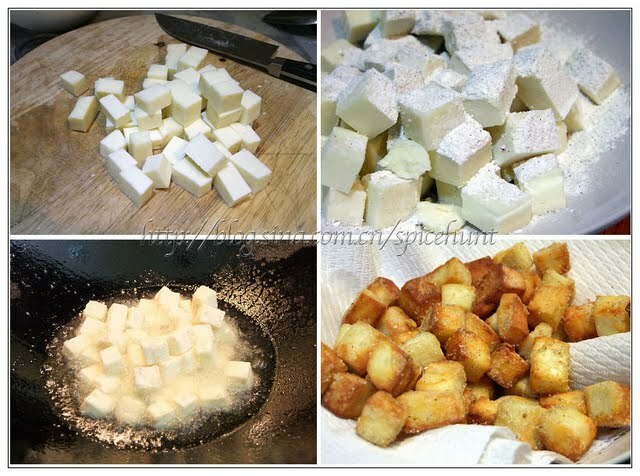 Cut paneer into cubes, dredge it with flour mixture, heat up 11/2- 2 inches oil in a cooking pan, fry paneer pieces until crunchy and golden in color. Drain excessive oil. 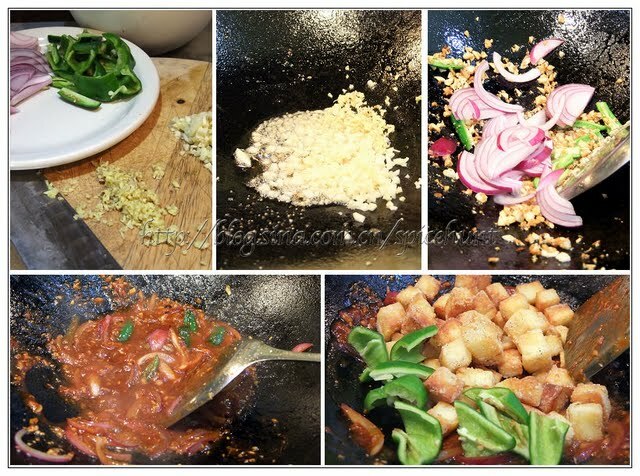 In the same cooking pan, scoop out most of the oil, leave about 2 tbsp to fry ginger garlic and chopped spring onion (white part). Once it is fragrant, add shredded onion and green chili, stir well. Pour in sauce mixture, bring to boil to slightly thickened, add paneer and pepper pieces, stir well until every piece coated with sauce. Sprinkle some chopped spring onion (Green part) before serving. Aruna.. yeah.. try it out once?